However backup awareness is also improving. More and more people are losing their private data, a new report by Acronis has revealed. 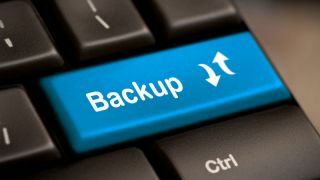 The company's 2019 World Backup Day Survey, released to coincide with World Backup Day on March 31, says that almost two thirds (65 per cent) of consumers lost their data, either by accidentally deleting it, having their hardware failed on them, or due to a software glitch. That represents a 29.4 per cent jump, compared to last year. At the same time, more people are aware that they should backup their information. Nowadays, almost everyone (92.7 per cent) backs up their data, also a 24.1 per cent increase compared to last year. People are using an increasing number of devices, too. Coupled with disasters like fires and floods, as well as incidents like ransomware attack, they all paint a picture of a lot of data being lost. However, just seven per cent never back up their data. The majority would pay $50 or more to get their lost photos back.